Live your pledge to the coming generations. A course for women exploring our indigenous roots, land and belonging. Learn the practices of restoring relationship, story, song, prayer, dance and sacred ritual. 5-day residential transformational leadership course. 5-day residential transformational leadership course for young people. A self-development programme for adults with young children. A two day public speaking programme for people who wish to communicate with impact and authenticity. Join us for the Autumn Equinox. A Winter Solstice celebration weekend. 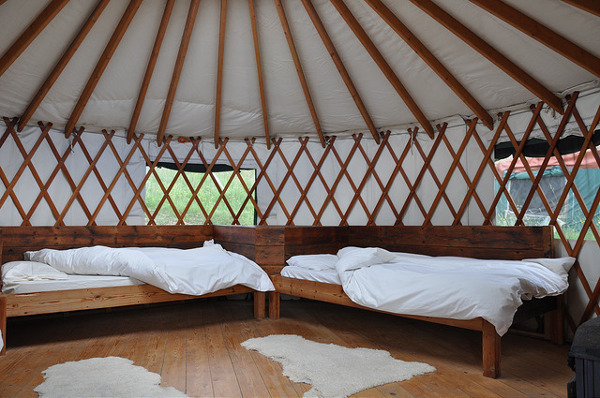 The information you need to hire Embercombe for your event. Taking action in the world, for a better world. Embercombe is a charity and we welcome your support to continue our work. Join Embercombes newsletter to stay upto date with our latest news and events. 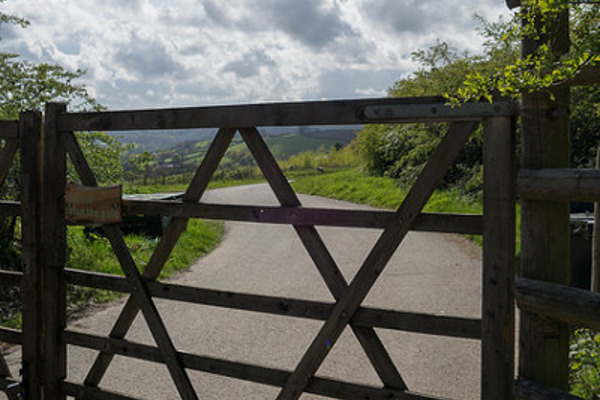 Find Embercombe circles and events near you. A short residential course and a practical guide for those considering the reintroduction of beaver to their land. Limited bursary places are available at £175 on application. There are now around 1000 beavers living in Great Britain, the beginning of a great recovery story for a species that was thought until recently to be forever lost from our shores. How has this happened in the last decade? Is it good news, what does it mean for the future of our native fauna and the overall restoration of something we might think of as ‘the wild’ and, above all, what can we do to get involved? We are joined by Derek Gow, Ben Goldfarb and Professor Richard Brazier to look at the wider implications, the challenges, the specific ecosystem benefits and the practical considerations when introducing this species back into wilding or managed habitats. We will be exploring the current situation in Great Britain as more and more landowners introduce this species as an attempt to restore ecosystems, mitigate flooding and improve land and water quality. We will consider the lessons being learnt along the way, how we can share experience, logistics and spread positive impact. We will look at how to limit the negative impacts, and how to communicate and get involved in this important work. We will also be considering what lessons can be learnt from the study of beavers in the United States, a country much wilder than ours, with wolves, bears, moose and many other species that have been eliminated from our native fauna. What can we learn about the role of beavers in relatively intact US ecosystems as we consider where they might fit in the restoration of ours? What are the longer term benefits for ecosystems and landowners from working alongside this species for several generations, what have been the conflicts and what measures are conservationists in the US now taking to bring back beavers into areas they have yet to colonise? This course includes a field trip to see Beavers at Derek Gow’s farm. 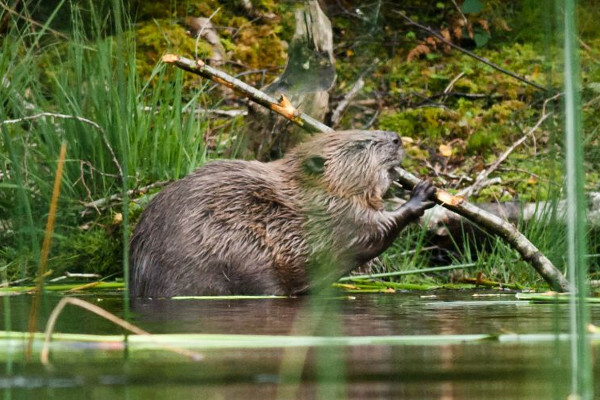 This course is for you if you have land or projects that are considering the introduction of beaver or if you simply have an interest, positive or negative, in the reintroduction of this once extinct animal. Join us on the 3rd June as we look at the science, the stories, the opportunities, challenges, and the sheer practical logistics of reintroducing beaver to our lands. A talk with Ben Goldfarb followed by a panel debate with Derek Gow, Mark Elliott of Devon Wildlife Trust and Richard Brazier. 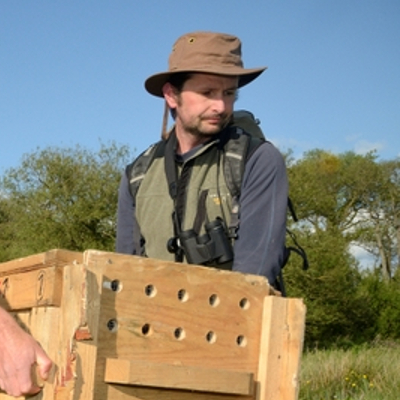 Hosted by the University of Exeter, Embercombe and Devon Wildlife Trust. Ecoligist Derek Gow is founder of the Derek Gow Consultancy and a key enthusiast and working group member for the reintroduction of the European beaver. Derek is the co-author of The Eurasian Beaver, published in January 2015. 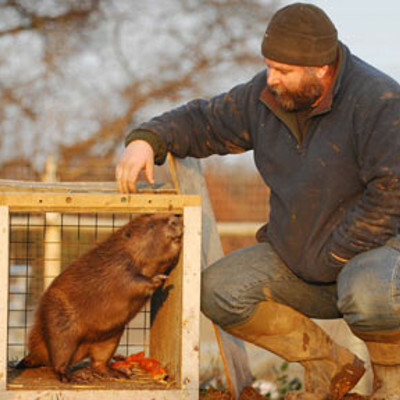 Dereks 130-acre farm in West Devon is home to the first licensed beavers in the UK. His involvement with Devon Wildlife Trust’s trial reintroduction and the Tayside beaver reintroduction makes him uniquely placed to discuss the topic of beaver reintroductions in the UK. 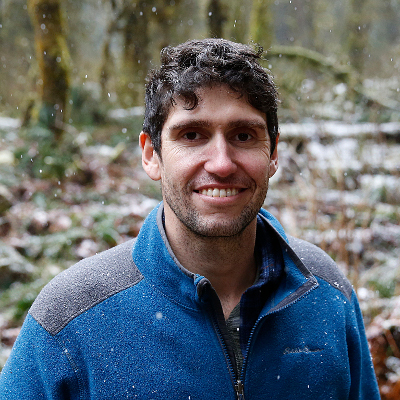 Ben Goldfarb is a conservation journalist and the author of Eager: The Surprising, Secret Life of Beavers and Why They Matter, which received the 2019 PEN/E.O. Wilson Literary Science Writing Award, and which the Washington Post described as “a masterpiece of a treatise on the natural world.” His writing has appeared in Science, Mother Jones, Orion Magazine, the Guardian, and many other publications. He lives in Spokane, Washington. Richard obtained his first degree in Physical Geography (1992-1995) in the Department of Geography at the University of Lancaster. He returned to Lancaster to study for his PhD (1996 – 2000) in the Environmental Science Department, on a project which modelled soil erosion in England and Wales, with associated uncertainty. The following two and a half years were spent as a NERC Postdoctoral Research Associate in the Geography Departments at Leicester University and King’s College, London working on soil erosion monitoring and modelling in the Sonoran Desert. In 2002 Richard was appointed as Lecturer in Physical Geography at the University of Sheffield where he worked for four years. He was employed as a Senior Lecturer at Exeter in 2006, promoted to Associate Professor of Earth Surface Processes in 2011 and Professor in 2015. We aim for all of our courses to be as inclusive and accessible as possible – please contact us for information on paying in installments. There are also a limited number of bursary places available at £175 for this course at on application. 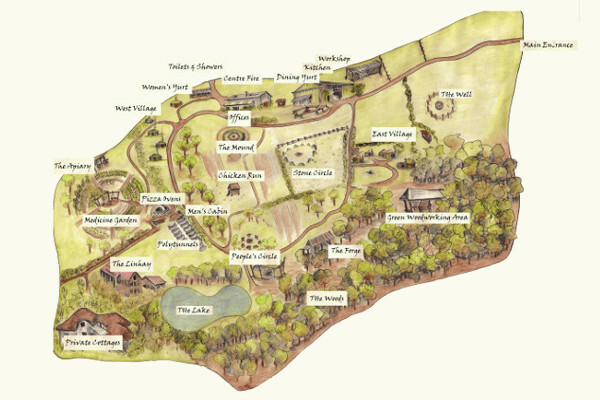 An interactive map of Embercombe!